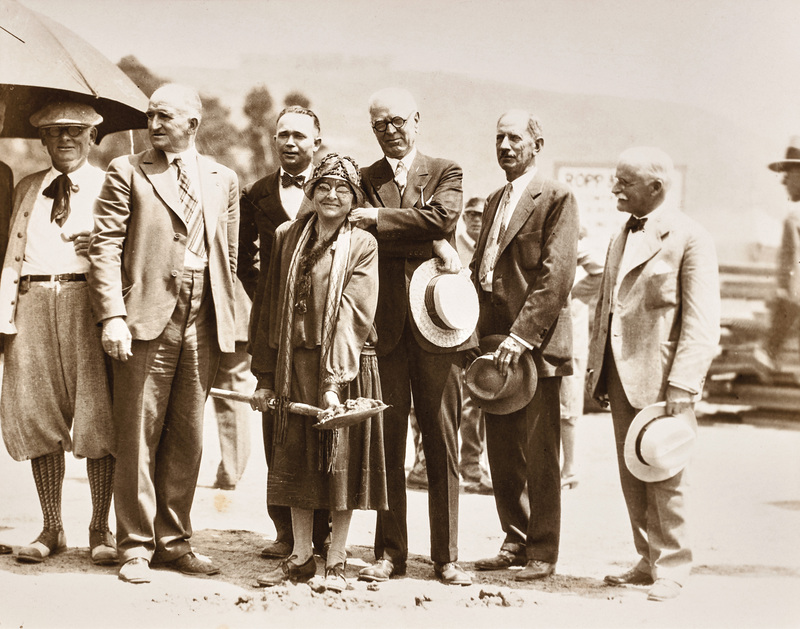 A documentary about the Laguna Art Museum’s history gives a star turn to early supporter Anna Hills, seen here at the museum’s ground breaking. She is the film’s “chief hero,” Malcolm Warner, the museum’s executive director, explains in the film’s introduction. The plein air painter and community activist was an early member of Laguna Presbyterian Church and the Chamber of Commerce and chaired the city’s incorporation committee. In 1918, she also served as first vice president of the Laguna Beach Arts Association, which later became the Laguna Art Museum. She even led the fundraising to build the 1929 building known as the Steele gallery, still the museum’s central gallery. On Thursday, April 19 as part of a yearlong centennial celebration, the museum screens the film starring Hills anddocumenting the evolution of the museum and its influence on the town. Already sold out, the film by Dale Shierholt will make an encore screening at the museum Sunday, April 22. Shierholt, of Dana Point, learned in 2016 of the museum’s impending 100thbirthday and thought the milestone a worthy subject for a film. “I thought it was a big deal,” he said. Warner agreed. “Laguna Art Museum 100 Years of Artistic Legacy” is a co-production with the museum, which raised funds to commission the work. Shierholt has made more than 20 documentary films about artists and art institutions, which have screened in universities, museums, film festivals and on some PBS television stations. The filmmaker calls his productions “conversational portraits.” He does all the editing and shooting himself using natural light. His company, Dale Shierholt Pictures, also raises funds, designs marketing materials and coordinates distribution. 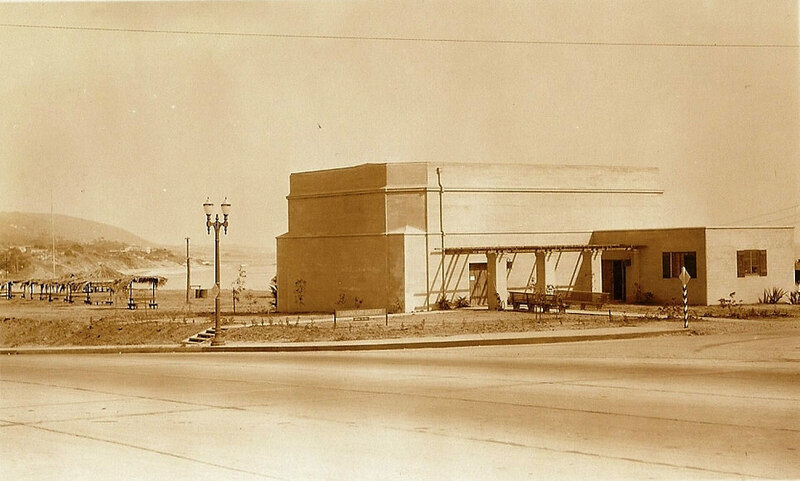 The original museum building in the ‘20s, from the Tom Pulley historic postcard collection. In his documentary about the museum, viewers will get a “behind the scenes look into the museum’s vault, off-site storage facilities and how the installation of the ‘California Mexicana: Missions to Murals, 1820–1930’ exhibition came together,” said museum spokesman Cody Lee. Warner’s on-camera contribution includes explaining the museum’s collection and how shows come to fruition, Lee said. For the museum’s film, Shierholt’s goal was to devote equal thirds of the story to its founding, how it works with artists and behind the scenes glimpses of how exhibits are created. Warner and Genny Boccardo-Dubey, the museum’s deputy director, endorsed the plan. Boccardo-Dubey took on the task of casting director, making a list of storyteller artists she thought would be relevant to the narrative of the film. Robert Hayden III and Louis Rohl, past and present board chairs, respectively, get some screen time alongside former curator Susan Anderson, Laguna Beach Historical Societyboard member Eric Jessen, and education curator Marinta Skulpin. The first film in Shierholt’s current project, a series entitled California Masters, takes an intimate look at the art and career of painter and sculptor Tony DeLap, often described as the pioneer of west coast minimalism and op art. The film was also produced by the museum, which screened the work recently as part of its DeLap retrospective running through May 28. After leaving his native New England for Dana Point, Schierholt met up with friend and artist Gene Cooper, who had curated a Wayne Thiebaud exhibition for the Laguna museum. I wanted to “find out who the players in the SoCal art world were,” the filmmaker said. Cooper suggested seeking out Warner, who introduced him to artists including DeLap and Peter Alexander. They provided the spark for the California Masters series. As for “Laguna Art Museum 100 Years of Artistic Legacy,” Shierholt hopes other Laguna venues will screen the film and it might go on to enjoy broader release throughout Orange County. My great, great uncle Ozzy (Oswald Jackson) was part of the Laguna Beach Art Association and was one of the curators at the museum in its early days. My mom told me that the greeter of Laguna Beach lived in his garage for awhile. We all still have some of his beautiful art. He was doing ceramics and painting into his 80’s. If I was close I would love to see the film. But I just read up on it. I will make a trip to the museum for the centennial celebration sometime this summer. Possibly with my sister and brother. Hopefully there will be a way to purchase the film.